It was while creating home interiors that Daryle realized there was a void in the home design arena: accessories that embrace a sense of serenity while complimenting a modern environment. She utilizes natural textures with a keen eye for refined detail. 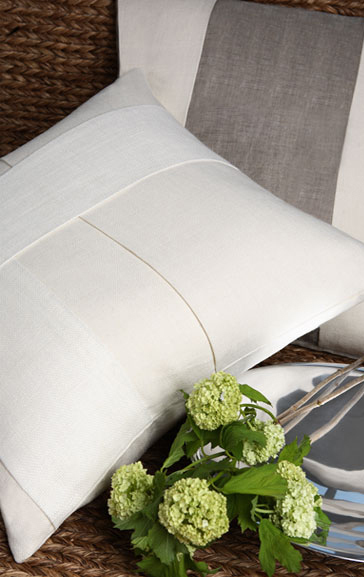 Daryle is driven by mixing textural elements of silk, linen, jute, copper, and French grosgrain in this collection. Simplicity and elegance, the major design features, are a reflection of her signature style.